United Airlines released this summer (read more here) Basic Economy-type fares for transatlantic travel with their joint venture partners of Air Canada and Lufthansa. Now, the airline has decided to release real Basic Economy fares for select transatlantic markets effective December 11, 2018 with reduced benefits. 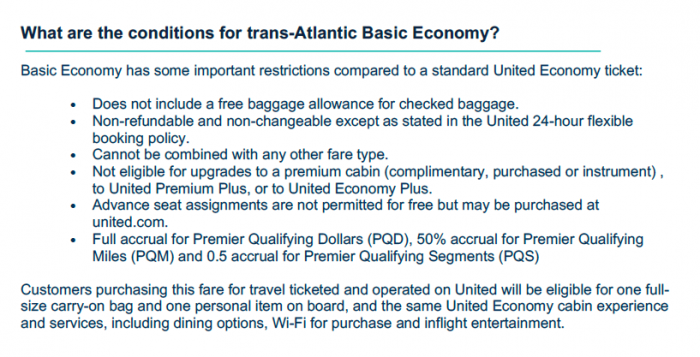 Elite members no longer qualify for any type of upgrades from this fare type not even to Economy Plus seating. United Premier, Star Alliance Gold and Chase affiliated credit card holders are eligible for one free checked bag, however. You can access United’s website here. 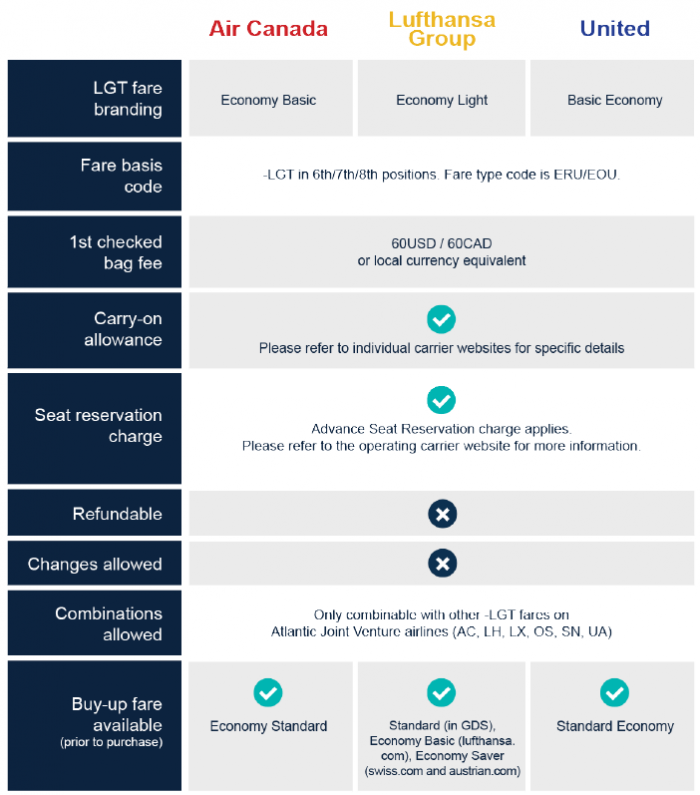 US airlines (not just United) have basically just rebranded their previously all inclusive lowest economy fares as no frills basic economy. At least these international ones do come with complimentary meals and beverages, complimentary carry-on bag (some LCCs charge even for this) and elite members can check in a bag for free. Star Alliance Gold members will also get their other benefits such as lounge access.